Over 500, 000 Used Cars listed on-online. Helping you save money on car buying, nationwide service. Contact our Members today. 54 links pointing to Carsite.co.uk were found. The most used keywords in text links are Used and Used Alfa. Individual words like Alfa, Jeep, Citroen and Ford are frequently used in text links from other websites. The most important links to the website are from Findyourmotorhome.co.uk and Buyyourbmw.co.uk. 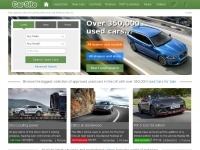 The homepage of Carsite.co.uk and the subsite /used-car/alfa-romeo are most referenced by other websites. 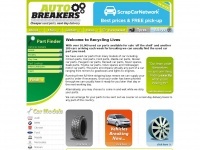 The table shows the most important links to Carsite.co.uk. The table is sorted in descending order by importance. The table shows websites of Carsite.co.uk, which are often linked by other websites and therefore they are classified as important content. 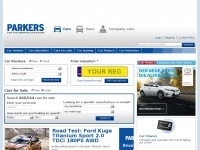 Uk-cars-for-sale.com - In the UK: Buy used cars | New cars | Se­cond hand cars ..
Parkers.co.uk - Par­kers - New and Used Car Re­views, Cars for Sale, ..
A1japsparesltd.co.uk - A1 Jap Spa­res Ltd - Used Car Parts, Japane­se Car ..
Autobreakers.co.uk - Car Parts, Used Car Parts, Car Spa­res - CHEAPEST! Polybush.co.uk - Polybush are the world lea­der in Pol­yuret­ha­ne ..